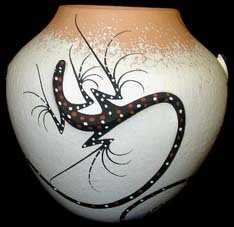 Eugene Dallas was born in 1958 and resides in Hotevilla, Third Mesa, AZ. 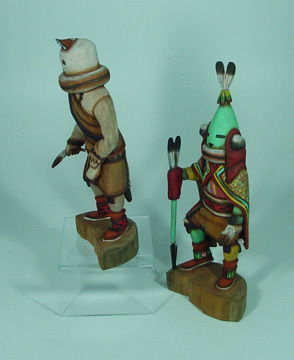 Eugene began carving kachinas full-time as an adult. 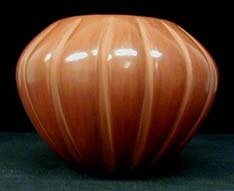 He has developed a distinctive style that features rich colors and shading on his figures. 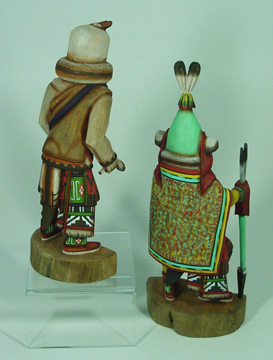 His attention to detail is shown not only in his exquisite carving, but also in the costume and accouterments of the kachina. 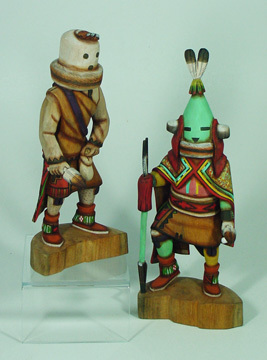 He has said that the Kachinas reflect his Hopi heritage in two ways; first from the way that they appear and also with their associated meanings. 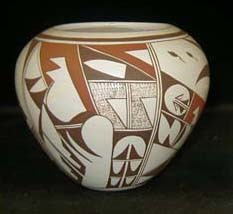 Eugene feels that the Hopi people are an intrinsically artistic culture. 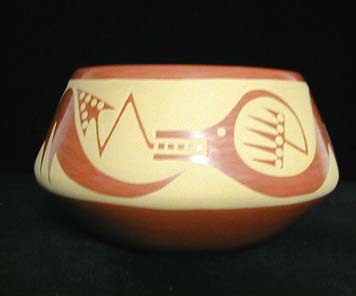 He typically signs his kachinas on the bottom with crossed feathered arrows. Eugene has a large extended family of carvers, including his brothers Leon and Reginald Dallas. 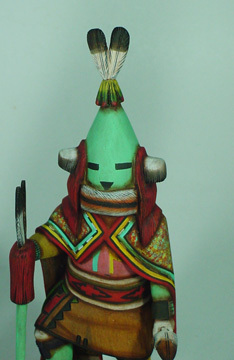 One of the Kachinas that appear each year is Eototo. 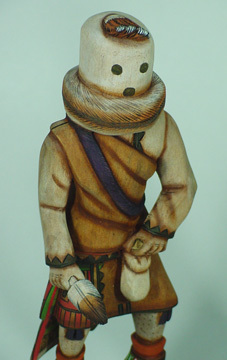 On each of the three mesas, he is the spiritual counterpart of the village chief and as such is called the ``father" of the kachinas. He is the chief of all Kchinas and knows every ceremony. 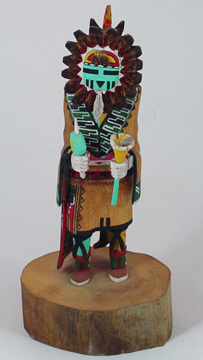 As father or chief of the kachinas he appears in all ceremonies. At Third Mesa during the Powamu, Eototo and Aholi come out of the Chief Kiva. 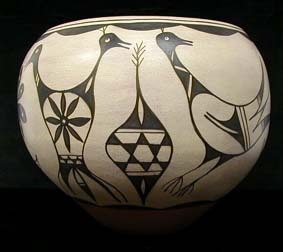 Eototo is always leading, and he draws cornmeal symbols of clouds on the ground. Aholi is Eototo's lieutenant. He appears only on Third Mesa and in the company of Eototo during the Powamu Ceremony. 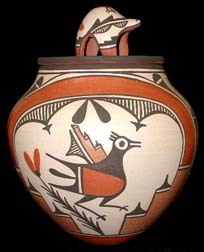 Legent has it that Aholi, left behind to fight a rear guard action, later followed Eototo through migrations that took them from Mexico to Utah and from the Colorado River to the Rio Grande and back to their present location on Third mesa.